Radical enactivism, an increasingly influential approach to cognition in general, has recently been applied to memory in particular, with Hutto and Peeters (in: Michaelian and Debus (eds) New directions in the philosophy of memory, Routledge, New York, 2018) providing the first systematic discussion of the implications of the approach for mainstream philosophical theories of memory. Hutto and Peeters argue that radical enactivism, which entails a conception of memory traces as contentless, is fundamentally at odds with current causal and postcausal theories, which remain committed to a conception of traces as contentful: on their view, if radical enactivism is right, then the relevant theories are wrong. Partisans of the theories in question might respond to Hutto and Peeters’ argument in two ways. First, they might challenge radical enactivism itself. Second, they might challenge the conditional claim that, if radical enactivism is right, then their theories are wrong. 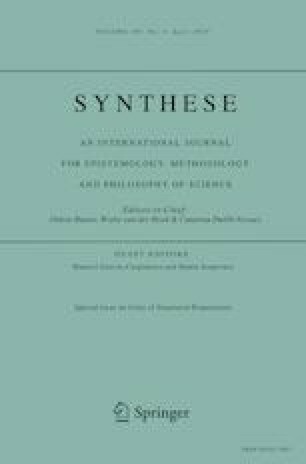 In this paper, we develop the latter response, arguing that, appearances to the contrary notwithstanding, radical enactivism in fact aligns neatly with an emerging tendency in the philosophy of memory: radical enactivists and causal and postcausal theorists of memory have begun to converge, for distinct but compatible reasons, on a contentless conception of memory traces. Thanks for feedback to audiences at the Naturally Evolving Minds conference at the University of Wollongong in February 2018 and the Memory and Perception: Fishing for Connections workshop at the University of Otago in May 2018. Thanks also for written comments to Carl Craver and John Sutton and for extremely interesting reports to two referees. Roberts, T. (2013). Review of Radicalizing enactivism by D. D. Hutto and E. Myin. Notre Dame philosophical reviews. http://ndpr.nd.edu/news/40035-radicalizing-enactivism-basicminds-without-content/. Accessed: 04/06/2018.